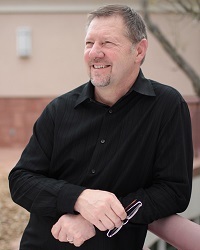 Dutch Sheets is an internationally recognized author, teacher, and conference speaker. He travels extensively, empowering believers for passionate prayer and societal transformation. Seeing America experience a sweeping revival and return to its Godly heritage is Dutch's greatest passion. He is a messenger of hope for America, encouraging believers to contend for awakening in our day and reformation in our lifetime. Dutch has written over 20 books, many of which have been translated into over 30 languages. His international bestseller, Intercessory Prayer, has sold over 1 million copies worldwide. Dutch's newest book, An Appeal To Heaven has been taking America by storm. Register soon to ensure your seat. Up to 4 people allowed per room Complimentary breakfast buffet Complimentary Shuttle Service Free parking Restaurant on site You must ask for Healing Rooms rate.